The Algarve has come out on top of a list of the cheapest holiday destinations for UK tourists in 2017 – which looks like being the year of the “currency conscious holiday”. The Portuguese region was named the cheapest destination on the Post Office Travel Money’s annual Holiday Money Report, which looks at the average price of standard tourist staples like food and drink across 44 different cities and resorts. In the Algarve, the average cost of a three-course meal for two and a bottle of house wine is £18.27 – which is more than £150 cheaper than in Dubai, the most expensive destination, and half the price of other popular tourist locations like Malta and Corfu. 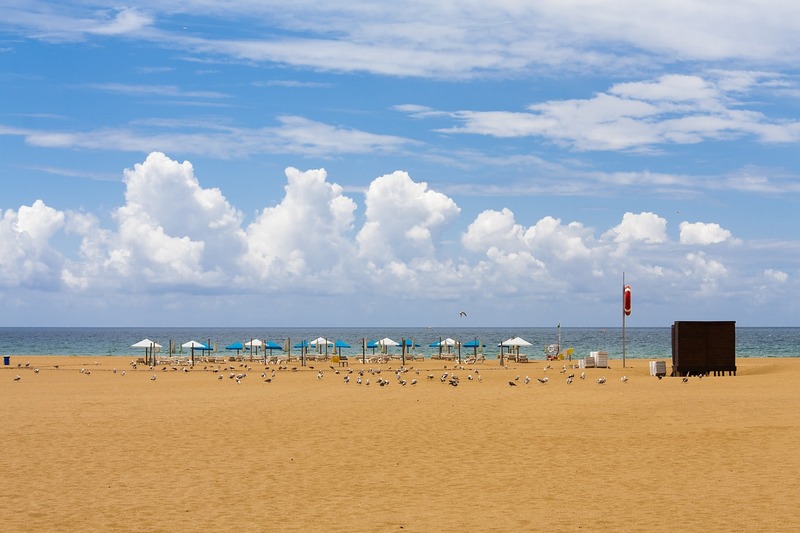 The second cheapest destination was found to be Sunny Beach in Bulgaria, where the local beer can cost as little as 69p per bottle and a three-course meal for two with wine costs £23.15. The Costa del Sol in Spain came third in the list, due to a drop in local prices over the past year. Marmaris in Turkey, Budapest and Prague are also listed as good-value holiday destinations for 2017. Away from European destinations the best value holiday spots include Cape Town and Cancun, Mexico, where the weak peso currently helps. A surprise entry in this years list is Tokyo, which is now ranked as the eighth best-value holiday destination this year. In Tokyo the average cost of a three-course meal with wine is £37.96, which makes it the best-value long-haul destination of 2017. The surprise inclusion of Tokyo is due to an economic downturn and falling prices in the Japanese capital over the past two years. Prices have remained low in Tokyo despite the value of the yen risen recently, particularly since the post-Brexit drop in the pound. Although the falling value of sterling has hit the spending power of Brits abroad, Post Office Travel Money say this only part of a much broader and fluid picture, with costs of amenities at a local level having a bigger influence on how for our holiday budgets can stretch. This is one of the main reasons that Portugal remains the most affordable holiday destination, as the local cost of a meal is down almost 5% compared to last year. In the same time period the Costs del Sol has seen a 3% drop in prices and Bulgaria a 1.5% drop. “Europe is looking unbeatable value with nine of this year’s 10 cheapest destinations, not to mention local price falls in half the European resorts and cities we surveyed. If you’re looking to holiday in the UK this year, then a study by travel site Trivago has some interesting findings for you. In terms of the cheapest hotel prices, Blackpool came out on top with average price of £63 per night. Great Yarmouth was second at £72 and Scarborough third at £80. Perhaps not surprisingly, London was found to the most expensive UK ‘staycation’ destination with hotels costing £156 per night. Following London was Bath, Oxford and Cambridge which have prices ranging between £130-£144.